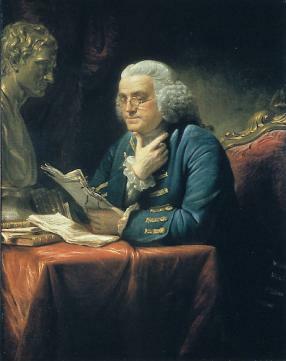 The painting was commissioned by Robert Alexander, Scottish merchant and friend of Franklin. It descended in his family: from his brother, William Alexander, to his daughter Marianne, who married Jonathan Williams (the grandson of one of Franklin's sisters), and remained with them until acquired by New York's Knoedler Galleries. It was purchased by Mr. and Mrs. Walter Annenberg, and given by them to The White House in 1962.